From time to time, you want to try a new hairstyle, new color or the latest trend. But but you don’t want to damage your natural hair. Why are you don’t think about full lace wig, lace front wig or hair extensions? You must be really worried as all the terms in this field seem to be unknown to you. You wonder if it is lace front wig, full lace wig or hair extensions? Yep, a wig is a head covering made from human hair, animal hair, or synthetic fiber. The word wig is short for a periwig. Earliest appearance in the English language is in Shakespeare’s The Two Gentlemen of Verona. In the previous article, we have already known about 18-inch hair weave. Then, we open up this topic for 30 inch lace front wig to be more detailed, which helps you have a better choice and a more beautiful look. Especially, if tonight you will have the big party, you need to shine with gorgeous apparent. However, you do not have long hair or your hair is not luxurious enough for you to keep it long. What will you do? Waiting for a long time for your hair to grow up. No, beautiful girl. In this case, the 30 inch human hair lace front wig in Layla Hair is there to help you to achieve instant results and instant enhanced look. How long is the 30 inch lace front wig? Let’s start with an amazing 30 inch lace front wig, as you have already seen in the picture. This is of shoulder length (about more 90 cm). It is essential to remember that the length of the weave is calculated when the hair is straightened. Moreover, our 30 inch human hair lace front wig is suitable for clients who want to have long lengths, fancy. But it is also convenient for moving and daily activities. Besides, Layla hair knows a big misconception that wig is only used by black women or those from such races. In fact, many influencers take advantage of lace front wig or full lace wig to have a more outstanding appearance in the crowd. It is not hard to find them in the magazine or talk show online. 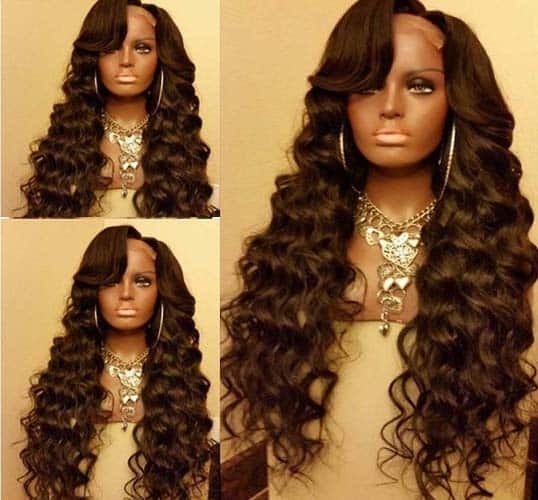 Layla believes that 30 inch lace front wig is the best way to help you become the most beautiful girl. Hence, when you estimate the number of bundles you may get, please allow for a certain type of hair extensions you desire to have. And, Layla company available all of the length of weave straight include 26 28 30 lace wig. And we have a lot of hairstyles like 30 inch blonde wig, 30 inch lace front wig and full lace wig and so on. The main feature of 30 inch lace front wig. You know, 30 inch lace front is able to install on all kinds of natural hair. There are way more different styles and textures in various color, with additional enhancements or highlights. However, I will only focus on popular textures that I am sure that you are looking for! Especially, in Layla Hair company, we only choose the best human hair only to sewn to create the hair extension. It is called machine weft hair. Our weft is double weft so it is very strong, not fall out and you can easily use it without worrying about any problem. Our weave straight hair extensions were only washed with shampoo and clean water. And you do not need to use special condition, just use coconut oil to apply in hair because our hair is 100% natural human Remy hair. Moreover, 30 inch lace front wig is awesome. It can come the best hair extension you have. It is healthy and neat with no tangle or no shedding. And, as it is virginly collected from either one donor or more than one human beings. The quality is without doubt hi-end. These hair integrations stay gorgeous without any fears of washing or handling. And, all lace front wig or full lace wig in Layla made by skilled craftsmanship with French lace. One of the advantages of a French lace wig is root in its thickness. It is also durable but sometimes detectable. A French lace is a great choice if you are rough with your lace wig or remove it very frequently such as every other day. 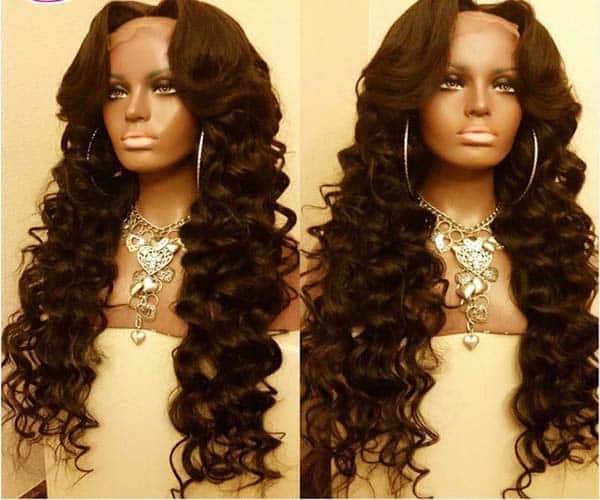 30 inch lace front wig full handmade with skilled craftsmanship help your appearance is so hot. Let’s change our look and be more fancy by having 30 inch lace front wig! So, go to Laylahair.com to get your own fantastic 30 inch human hair lace front wig weave or any other products in our huge collection. If you want other size or textures, the example of 20 inches weave straight hair extensions or any sizes. We will meet all your requirements.